The 2X1 switcher allows USB-C charging on the input port up to 60 Watts for MacBook Pro, iPad, or slimport based laptops while you collaborate in huddle rooms. 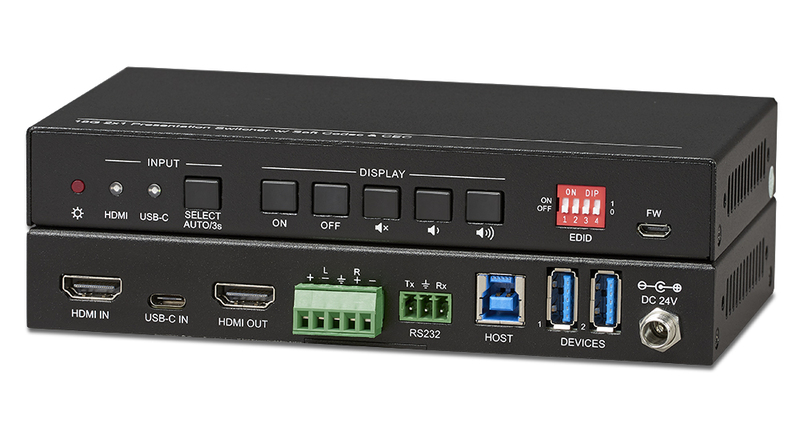 The switcher supports stereo and multichannel audio on the HDMI inputs. In addition to the audio embedded in the HDMI output stream, the audio is simultaneously de-embedded to a balanced analog audio output. 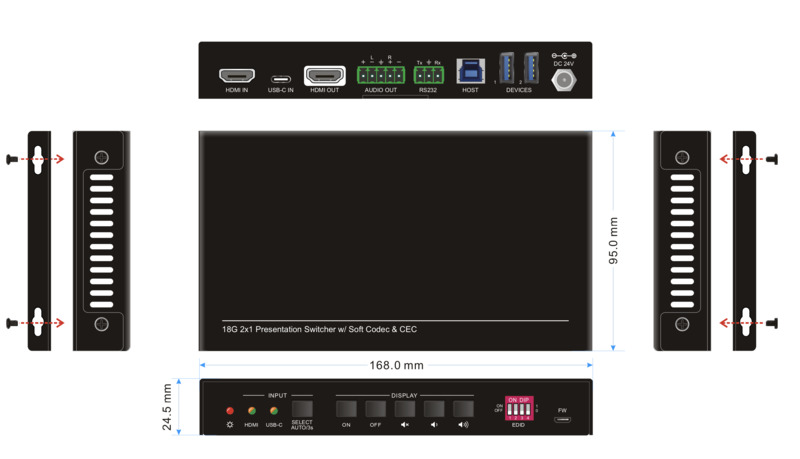 It also supports device extension by providing one type-B USB 3.0 port for host connection to a PC, and two type-A USB ports for HID devices such as camera, microphone, keyboard for instant conferencing. 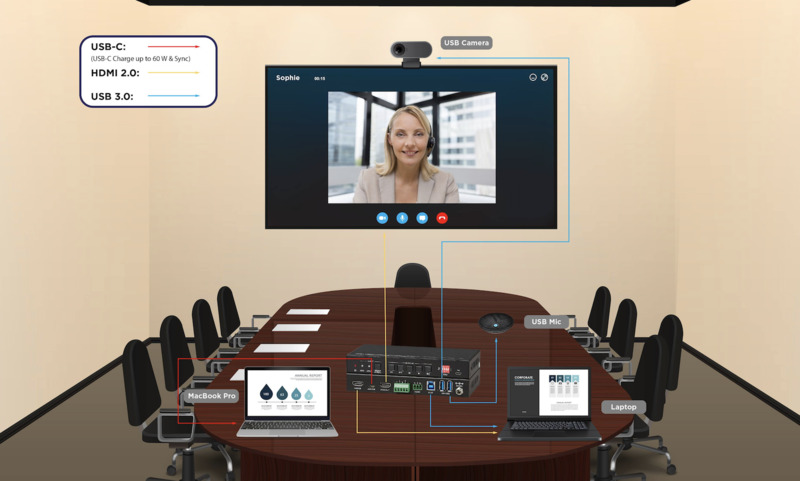 The low-profile design with auto-switching capability enable discreet placement in lecterns, beneath tables in smaller conference rooms, huddle rooms and smart classrooms and is perfect for on-the-spot conferencing using Skype, Lync, Zoom and much more apps. 4Kx2K@60Hz 4:4:4, HDR 10, Dolby Vision & HDCP 2.2. Provides USB data (USB 3.0/2.0) and 4K video transmission on USB-C port. Peripheral units (e.g. microphone and camera) can be connected by type-A USB (USB 3.0/2.0) ports and automatically switched along with HDMI and USB-C input as USB DEVICES for corresponding HOST. Smart EDID management capable for various applications and customized setting.